A dispute over university fees descended into violence in the Kenyan capital Tuesday as riot police clashed with students at Nairobi University. Hundreds of students had taken to the streets to protest a proposed increase in their school fees. After rocks were thrown, police chased the students into the university campus. 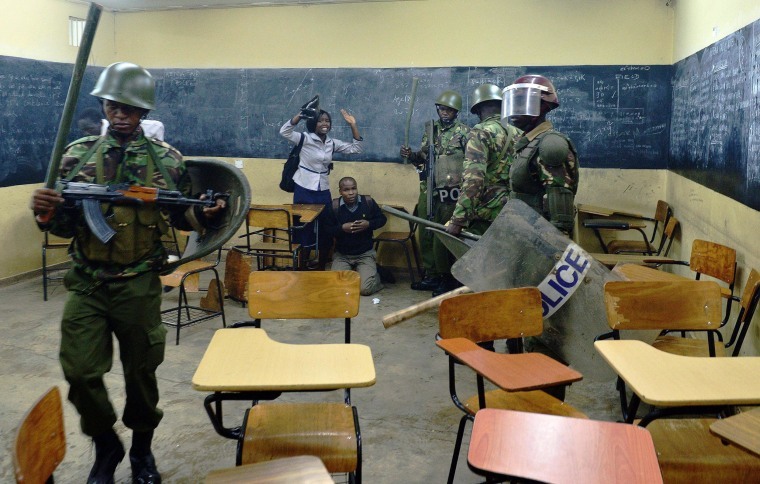 The running battles ended with riot police firing tear gas and cornering the students in classrooms. Several students and university employees were arrested.